As you learned in the introduction, camera aperture is one of the elements controlling the exposure. As a landscape photographer, you will use it extensively to control the look and, ultimately, the style of your images. Read on to find out how to put it to work. In photography, aperture describes the opening of a camera lens' diaphragm relative to the focal length of the lens. It is denoted in so called f-numbers. An aperture setting of f/2 refers to a lens whose diaphragm is open to the diameter half its focal length. For example, a 50mm lens opened to f/2 will have its diaphragm set at the diameter of 25mm (just short of an inch). The same lens stopped down to f/16 will have an opening of barely more than 50 / 16 ≈ 3mm (&frac18;"). 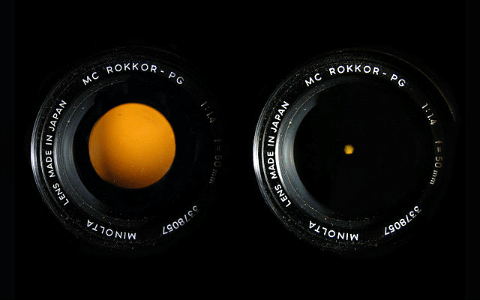 Not surprisingly, the wider the aperture, the more light can pass through the lens during the same period of time. Hence, given the same ISO setting, opening the aperture on your camera lens will reduce the time required to achieve the same exposure value. Respectively, if the exposure time remains the same, a lower ISO value will suffice to retain the exposure. Camera lenses with the maximum aperture of f/2.8 or wider are generally considered "fast", as they allow for shorter exposure times. This definition of lens speed greatly evolved over the time. The 1911 Encyclopaedia Britannica, for example, referred to lenses with apertures larger than f/6 as "extra rapid". The bigger the f-number, the smaller the aperture. This is probably the most confusing thing related to the camera aperture, especially when it is mentioned as a simple number. Indeed, it is hard to comprehend that aperture 2 is wider than 8. However, it perfectly makes sense since f/2 is greater than f/8. If you ever wondered why some lenses look ridiculously big, this is the explanation: fast long lenses, i.e. those with long focal lengths and large maximum apertures, just have to be big. A 300mm f/2 lens will sport an opening of 15cm diameter (almost 6"), not a small feat, and a lot of glass for sure. This also explains why zoom lenses often loose speed at their long end: retaining the same maximum aperture over the whole zoom range would require a wider diaphragm, and the more so, the bigger the range. Moving from one neighbouring value in this sequence to another will halve or double the exposure, depending on the direction. Photographers would say, the exposure value will change by 1 EV, or 1 stop, when referring to the same. Aperture setting of a particular lens is the second main factor, after its focal length, affecting the depth of field of the resulting image. This term, often shortened as DOF, refers to the range which appears in focus on the final image. Every object in this range will be rendered sharp, whereas objects lying behind and in front of it will turn up blurry, the more so, the farther away they are from the range limits. Generally speaking, the longer the lens and the closer your focus point lies to it, the shallower its depth of field, i.e. the narrower its in-focus range. 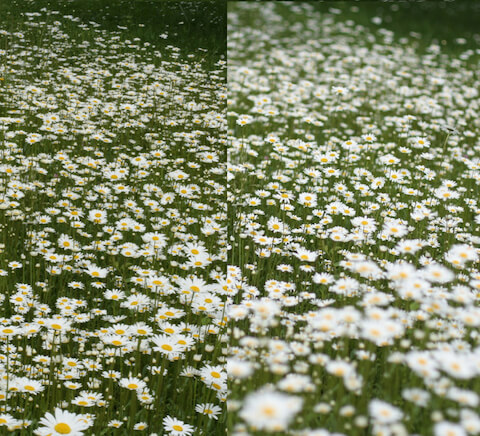 Conversely, the shorter the lens and the farther away its focus point, the wider its in-focus range. However, opening the aperture will reduce the depth of field of every lens. In the image above, the far end of the DOF range was set to infinity. Stopping the 45mm lens down from f/5.6 to f/16 brings another 3m into focus. The DOF range of the 90mm lens at f/16 is shallower than that of the 45mm lens at f/5.6. Shallow depth of field is by no means a drawback, and often a desired effect for a variety of situations. Not only in portrait photography is it used to throw distracting details out of focus and emphasise the main subject of the image. Macro photography is one area with extreme shallow depths of field. Why, do you think? Extreme short focus distances cause this effect. Even very small camera apertures like f/32 wouldn't significantly increase the DOF range. The 45mm lens pictured above will have a very short DOF range at close distances. Opened to f/5.6, the same as in the image, with the close in-focus limit set to 2m, the DOF range won't extend beyond 3m mark. With 0.7m as the same limit, the in-focus range will be less than 10cm. Learn what aperture is, and how its different settings can change the look of your images. Learn how exposure time can add dynamic and movement to your images. Learn how photo noise is related to your chosen ISO value. 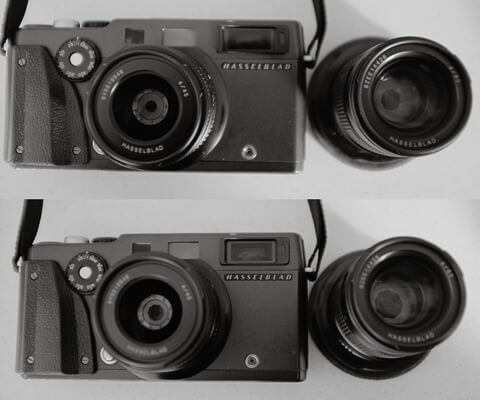 Understand different metering modes and when to use them. Learn how to overcome shortcomings of your camera's automatic exposure metering. Measure up to your camera and take exposure in your own hands with this simple and easy to follow rule.